Publisher Published by Johnson & Browning under the direction of Col. Carlos Butterfield. 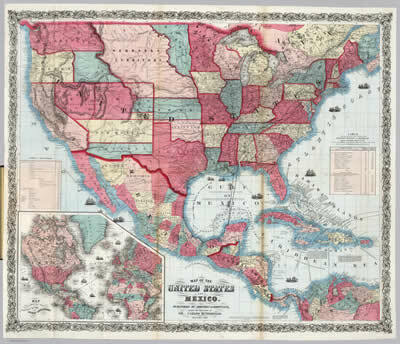 Copywrite "Entered ... 1859, by Carlos Butterfield ... New York Included in United States and Mexican Mail Steamship Line, and Statistics of Mexico. By Carlos Butterfield, Washington. December, 1859. New York: J.A.H. Hasbrouck & Co., Printers ... 1860."